From Wylam walk along the Wylam Wagonway, signed for Newburn; Stephenson’s Cottage is 1/2 mile away. Re-trace your steps back to Wylam and remain on the footpath to Prudhoe, crossing Hagg Bank bridge (one of the first bowedarched bridges to be built anywhere in the world). 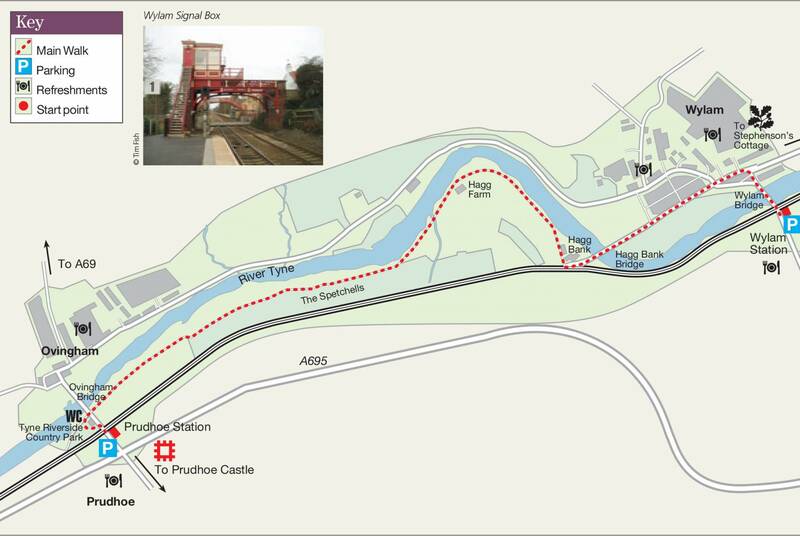 Visit Prudhoe Castle and return to Wylam using the Tyne Valley railway line.